For the sauce: In a bowl, whisk together the tomato sauce, soy sauce, brown sugar, tomato paste, vinegar, garlic, ginger and hot sauce until blended. Reserve 1/2 cup for the Round 2 Recipe Stuffed Cabbage Rolls, or another use. Set the rest of the sauce aside. For the sloppy joes: In a large skillet over medium heat, add the oil. When it is hot, add the onions and peppers and cook until they are soft, about 5 minutes. Push the vegetables to one side of the pan and add the ground pork. Break up any lumps and sprinkle with salt and pepper. Cook until the pork is lightly browned, about 5 minutes. If there is a lot of fat in the pan, spoon some of it out and discard. Add the sauce to the pan, bring to a simmer and cook until the pork mixture has thickened but is still a bit loose, about 15 minutes. Reserve 1 cup of the mixture for the Round 2 Recipe Stuffed Cabbage Rolls, or another use. To serve, remove 2 leaves from the cabbage, roll them up like a cigar and slice into very thin strips. Reserve the remaining cabbage for the Round 2 Recipe Stuffed Cabbage Rolls, or another use. Divide the sloppy joe mixture onto the hamburger buns. Garnish with the sliced cabbage. Top with the bun tops and serve immediately. I have been asked that question more times than I have ever cared to. It’s the “first date” question. I admit that I have asked it, too. Many, many times. My answer is usually the same. “I don’t know, but I know what I am NOT looking for”. “Good answer” is typically what I am told. And it is a good answer. I have been around the block enough to know my dislikes. Dishonesty, unfaithfulness, disrespect, impatience, recklessness, substance abuse…a pretty typical list if you ask me. That was enough for me because I didn’t know what I wanted really looked like. I couldn’t envision it. I just knew the dark cloud behind me, what that looked like and that I didn’t want that hovering over my head. Ever. Again. My fear of that cloud actually sent me running from a few folks earlier than needed, I think…but still necessarily. I have touched on that before…the “red flag thrower”. Recently, though, I have been able to see what I DO want and what I AM looking for. I don’t know if it is because of the company I am keeping or the part of the healing process I am in…but I kinda like it. A good friend posted last night in a Facebook status something relative to what I am speaking of…and that’s what got me thinking about this. More and more friends were adding to her comments about what a girl should look for in a man. Then I saw this photo on another random news feed. Now this doesn’t just apply for what you want in a man…this applies to friendships, too. Which got me thinking again. Friendships. So many couple relationships that are working that I get to look at from my single-woman eyes have one common item linking them. They are friends. Simply friends. They are not on romantic escapes, getting drowned in flowers, gushing that they are being showered with over the top gifts…those things are nice perks here and there, don’t get me wrong…but that is not the focus. When someone is going over the top for you…eventually they will tire and the “specialness” will subside…then where are you? That solid friendship foundation is crucial. I am beginning to see what I am looking for. A friend. Someone who makes me laugh whether or not they are trying to. Someone who continuously surprises me, again, even if it’s without effort. Someone who has the ability to make me feel safe and comfortable simply by being themselves. Someone who genuinely wants what’s best for me. Don’t doubt for a second I want that wrapped in someone who makes my heart flutter when seeing them…even if just in a picture. Someone I long to be with when they are not with me. Someone I admire and respect as a person and one who thinks of me the same. I no longer wonder if I will find that “right for me” person…because I am now learning what I am searching for…which means I can now see it when it is in front of me. I finally have an answer to that silly question. The night continued on as expected…chaos and fun..and then all the kids were in bed. It was time to get everything together for Easter Morning. I (shockingly, cough) checked in at the computer…likely to update a facebook status or check in on my newsfeed…when I noticed a folded over paper with text on it to the left of the monitor. I am not sure which kid had been reading it and left it there, I haven’t asked. I honestly never knew it existed in that form before that night. The only time I read the words on that paper were, first, by Mackenzie’s English teacher…who sent it to me by email attachment so that I had a chance to absorb what Mackenzie had written before she brought it home in her final report. And then second, by her report she actually brought home…in which I was eternally grateful to the teacher who gave me a heads up and a few weeks notice to figure out what my reaction would be! The following is a narrative of a ten year old girl who is about to, and does, lose her father figure. It doesn’t speak of Heaven or where he goes…that’s something she and I talk about often, but is not in print. Between the books at Walmart and the narrative I stepped upon, I couldn’t help but think about the children, at all different stages, that Michael left behind. A 1 year old, a 10 year old, an 11 year old, a 13 year old, a 16 year old and a 20 year old. Not all by blood, but all his children and lives he deeply impacted. It’s hard to comprehend what these children think about in these times and how they process everything. My step dad got very sick and went to the hospital. My mom went first. Then the next day after Dj’s football game we went to the hospital to visit him. When we got there it was very quiet in the waiting room. Then a girl named Alison came and talked to to me and Dj about a lot of the machines and what is happening. Then while we were waiting she gave us things to do like a container with sports stuff and you try to find them all and if you find the penny you get 1$. We didn’t find it though, there was also coloring and playing with dough. Then it was time for us to go in. When we got in it was very sad there was so many machines helping him breathe, stuff to feed him, his heart rate and a really cool one it takes out his blood and cleans it out and puts it back into him and he was very swollen but really warm. I gave him a card and one of the nurses read it to him . And I got very sad when I walked in. After that we left but I didn’t want to leave him. When we got home and we said a prayer for him to get better. The next day we went back and visited him again. We had to wait a little again but Alison came in again before we could go in. Alison came in and gave me some play dough to take in to squeeze. When we got in there it was still very sad. And one of our pastors came in to say a prayer to Mike. After that me and Dj went with Alison into her room for kids. Me and Dj made a poster type thing and we wrote stuff and then we went to one of the rooms and got wet toilet paper and would throw it at it and it wash those bad memories away and it wash those things away and it made me feel good. After that we picked up the toilet paper and water. Then we went back to Alison’s room . And my mom was there and I left but Dj stayed cause I think he was embarrassed to cry in front of other people so he stayed with Alison while we went back to visit Mike. When we got there was a priest he said a prayer and then he left. After that this was my very last goodbye to him so I wanted to to stay in their for a long time and we did, and I had to my squishy ball thing that calms me down a little when we go in there. I squished it really hard and gave him a hug and a kiss then we had to leave then it looked like there was 20 machines! Trying to help him it was a little scary but I tried to stay there as long as possible and we had to leave every now and then for other people to come in. So we kinda went back in forth . But we took a little break so we could kinda breathe from all the crying so much and we went in and out of the room and into the waiting room. I wanted to talk to Kyle and Alyssa, Mike’s children. But I usually see Alyssa every Sunday for cheerleading. But sometimes I look over and shes crying . But then it was our very last good bye I gave Mike the biggest hug I have ever given him and a kiss. And said bye to Kyle and Alyssa. And we all left. Then me, Dj, Jamie, Emily, Zach left . So we went to Mcdonalds and I texted my bff Gabby and she knew Mike for a long time, we even did his makeup and nails once and we didn’t have nail polish remover, but she was sad. So we finished and went home and watched a movie and I watched the Smurfs and we had popcorn and lots and lots of candy! Then my movie was over and my mom came home and Mike was gone he didn’t even struggle it was only like 5 seconds and his breaths got smaller and smaller and smaller then his whole body stopped. Then he was gone and it was the saddest thing ever but I keep one picture in my bag and 2 on my wall and Mike will always be in my heart forever. I have not written you a letter since you’ve been gone (just over a year and a 1/2 now), but so much about you is surfacing and the void you’ve left is feeling super strong lately. I miss you and wish you were able to experience the milestones and highlights with all the kids that I am getting to. April Fool’s Day was just a few days ago…and the pranks that the kids were playing on me could only remind me of the influence you had on them. Always a prankster and never letting an opportunity go by to joke and play with someone. There’s no way I can explain that trait to someone who didn’t know you. It was a unique sense of humor and charming way about it that made everyone smile and laugh…with you and at themselves. Jamie watched Brayden last Thursday while I went to work…which was a savior! He asked if around the house we talk about you a lot. I just shrugged. Yes, we do. Usually more when Jamie is visiting! He said he took Bray for a walk and they chatted. Bray started pointing to the sky saying that’s where Daddy lives and that you drove a black truck. Weird. We never have talked about what you drove (illegally)…but the black truck was obviously it…I’m still scratching my head on that one. Mackenzie and I were at her cheering competition yesterday. She pointed to the “box” seating at the Whittemore Center. “Me and Mike snuck in there when he was here with us”. All smiles, fond memories. “We weren’t supposed to be in there”. A little evil giggle ensued. You are everywhere Michael. I was putting around the kitchen this morning and put something away in the pantry closet (that you temporarily took the doors off…that still do not have doors!). I noticed the “growing chart” you created on the trim of the door jam documenting names and dates and little pencil lines that note how tall the kids were at that point in time. You never got to make an entry for Bray…but at the top is a “Mike 4/06”. I am not sure I ever noticed it before today. In April of 2006 you stood in that spot, undoubtedly with little ones looking up at you watching you show how “big” you were. The grief and pain that hit me at that point, standing in the kitchen, was so sudden and sharp I though I was going to be sick. I tried to imagine, if that was the top of your head, where your eyes would be, and shoulders. I then was reminded of the pants I came across yesterday. With your belt still on it. The last pair you would ever wear while alive on this earth. And then the picture I saw a few days ago. The one tucked in my nightstand drawer. The one that at some point after we split up you wrote on the old Polaroid picture and tucked it away for me to find (days after you passed). “Never forget me”. Not a chance Mike. You are everywhere. In our thoughts, in our hearts and tangible pieces of you left behind. I miss you. I miss watching you enjoy the sun on your face. I have never in my life seen anybody enjoy such a simple, everyday thing as if it were the best thing that has ever happened to them. I will never forget that tilted back head, eyes closed and dreamy smile. Seriously, I could draw it right now if I was asked. It was a few minutes after seeing the “growth chart” I started to think about how, if you are so present here, will someone else fit in our lives? Is there room? I want to think yes, but it worries me that it is going to take such a strong, giving, compassionate, selfless person to handle a family that is still in love with and so very fond of (an albeit flawed) someone that has left this earth. 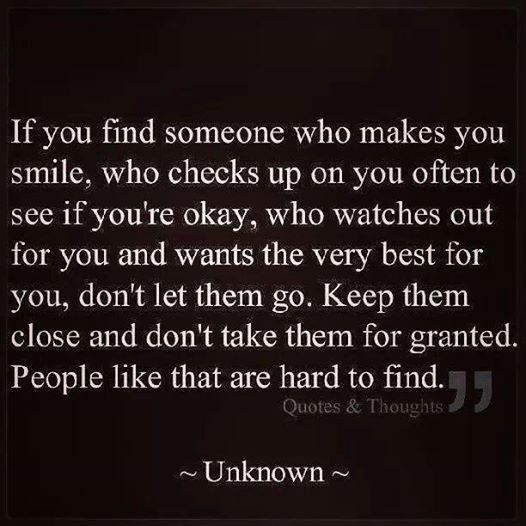 Does that person exist? While I figure that out, I hope you are feeling the sun on your face eternally…and none of the pain that you endured while you were here.